THIS SYSTEM SET THE STANDARD FOR RACING ELECTRONIC. NO MORE RUNNING 60 LBS OF COPPER WIRE ALL THROUGH THE CAR TO ANTIQUATED TIMERS AND RELAYS, DO IT ALL WITH DATA CABLES AND STATE OF THE ART MICRO PROCESSOR USING SOLID STATE RELAYS. THIS MAKE IT LIGHTER FASTER AND MORE ACCURATE AND DEPENDABLE THAN YOUR CONVENTIONAL SYSTEMS. 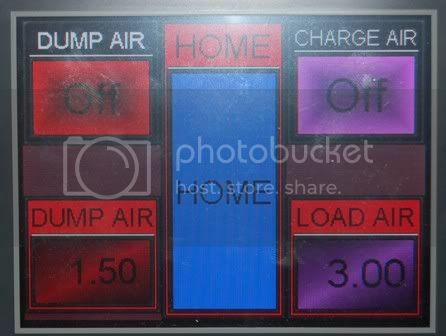 WITH THE ONE TOUCH START BUTTON IT STARTS THE CAR THEN THE FUEL PUMP, WATER PUMP, AND COOLING FANS ALL ON ITS ON. THEN THE TOUCH TO SHIFT MAKES BURNOUT FUN AGAIN. EVERY TIME THE CLUTCH IS COMPRESSED THE AIR DUMPS FROM THE PODS. THEN YOU TEST FIRE EACH NOS KIT AND HEAD TO THE AUTOMATIC PURGE. HERE YOU TOUCH ONE BUTTON AND THE BOTTLE PRESSURE WILL DROP TO YOUR DESIRED PRESSURE, EVER TIME. LAST YOU ARM THE NOS THIS TURNS ON A 2 STEP THE DATA RECORDER, RESETS THE MEMORY ON THE IGNITION BOX , AND DOES A SELF CHECK TO SEE IF THE SYSTEM IS RACE READY, THEN IF SO IT GIVES YOU A GREEN LED LIGHT THAT SAID LETS GO RACE. SO NO MORE OF THIS FORGETTING TO ARM THE NOS OR THE 2 STEP, OR FORGETTING THE FUEL PUMP OR THE COOLING ITS ALL DONE FOR YOU AND CHECKED. THEREFORE ALL YOU HAVE TO DO IS CUT A GOOD LIGHT AND WIN YOUR RACE. Re: Electrical system I'm putting in my new car!!!! Nice! Me and a friend were talking about doing something like this last week. But it wasn't going to be nearly that comprehensive. What are you using for the touch screen? Looks like an Automation direct EA7-S6C-R. How many I/O is available? How are you stepping up the voltage? 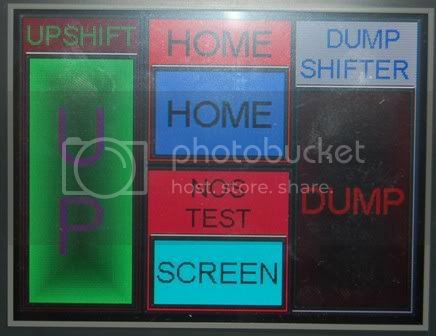 Most touch screen with the PLC built in are 24Vdc. Looks like a nice automation package you put together. Pretty Cool Scott - when you get it take that carbon fiber cover off and show us what's under it. I'm curious as to what brand of PLC they are using. 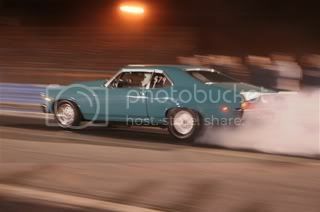 Interesting that they are using SSR's - I've been told by one Pro Mod guy that SSR's don't work good for nitrous relays. Not too sure why, he didn't go into detail on that. I know my progressive controller uses solid state to pulse and that works ok so this will be interesting. John / 68 Camaro are you into Industrial Controls? I used to do that about 10 years ago and I've been itching to put a PLC in my car. Can anyone recognize what brand of mechanical relays they are using there? I like those bases, looks nice and clean. I've been doing Industrial controls since 92 or 93. Mostly the hardware design, but I have been known to do programming also. The last 7 years have been designing build equipment for seat manufacturing and calibration/verification test equipment for air bag deployment. This is sort of a lie as I have been working as an engineer for the last three years at a float glass plant, but as a side job I contract myself out to a company that does the seat equipment. I have thought about using a PLC in a car for years, but have never had the reason to do so. I've never put down the amount of N2O that you guys are using and I don't race competitively, so I didn't have a need. I did hear that Monster trucks were using a PLC to shift the transmission. Something to look at. I’m not an AB sales man here, but use their equipment. The Micrologix 1400 controller (1766-L32BXBA) would be a good candidate. It uses 24VDC for the power input. It has (6) 100K High Speed inputs, (4) voltage analog inputs, and (2) voltage analog outputs. I believe that it can be expanded with I/O modules. The down side to this is that it’s AB and you have to purchase their software, but if you have RSLogix 500 and RSLinx available it might be a good choice. Again there is the problem of a 24VDC system for the controller. 2 batteries can take care of that problem. Most guys seem to run two anyway. You can run them in series to get 24 VDC for the PLC and use a heavy duty voltage divider for the rest of the car. The starter might be a problem as I do not believe the starter motor could take the 24VDC, but a heavy duty Zener Diode and shunt the excess voltage (above 14volts) to ground. 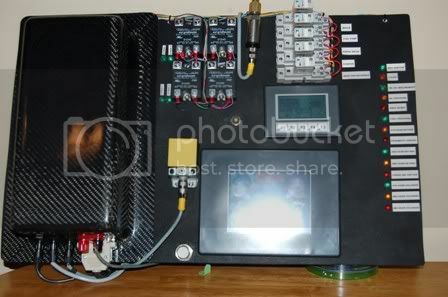 OK there you have it a very expensive and complex way to put a PLC into you car. It looks like the Carbon fiber in Scotts show set up is covering just the power source. Probably a 120/24VDC power supply. 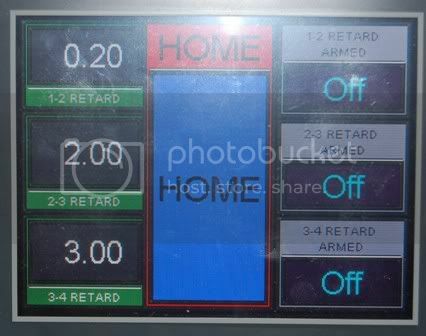 I'm betting that the HMI has the PLC built in. Where I used to work we primarily used A/B, but on lower cost projects we used a lot of different mini-plcs, but that's been so long ago I'm out of touch on what's available now. Although I like A/B, the software cost is too much, need something cheap or free! 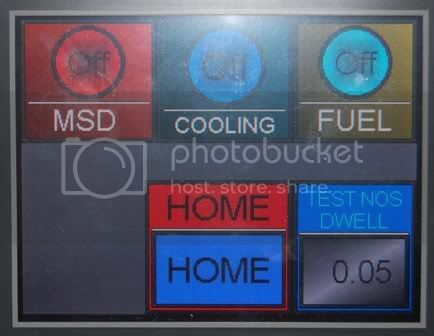 I have been talking a bit with Trevor Stripling from Texas who runs a True Ten Five Camaro, he's been using an Automation Direct DL06 model in his car which I believe he said was 12-30 vdc supply. I'm not real sure I want to use one yet, I need to sit down and think if it's really going to be worthwhile in some way vs just something new to mess around with. It could simplify the wiring quite a bit but I'm also looking to see if I can make use of some of the other features like analog inputs. For example the deal above the Scott is buying is cool, but is it able to make the car faster in some way or increase reliability? A PLC is certainly more complex than relays, but it sure has a lot more control no doubt. I have used automation direct in the past. It is good equipment. I'm sure if Trevor Stripling is using it sucessfully it probibly is a viable option, but for me the question is this; Why use a PLC if a N2O controller is designed for the task unless you are letting the PLC shift the trans and control the N2O? I'm not sure if you manually shifting or use an air shifter. Also, if you are looking for data acq., then use a Data Acq. system as they are again designed for the task? I agree that a PLC does simplify wiring and if that is the case, then the Automation Direct is the way to go. The software is free if I remember correctly. I was refereing to A/B Micro 1400 as I know that it has the high speed counters. This is important for RPM of the motor and RPM of the driveshaft. Possibly the A/D PLC's have the same function available. "Why" is the question I'm asking myself lol - I haven't come up with a good excuse yet to use one. Between the current equipment I have which is a 7531 box, progressive controllers and a good data logger I haven't found one yet other to simplify some of the wiring. The software for Automation Direct is free until you get to X amount of words then they charge for it. 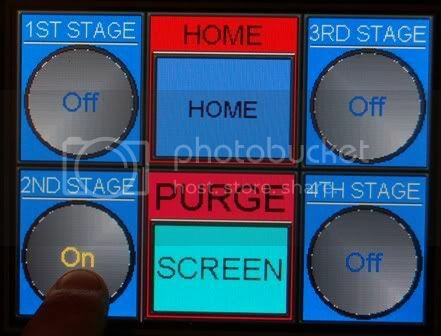 Bob West wrote: I like toggle switches!!! That's the way I feel about it......heck if I had something like that in my car I'd probably launch it to the moon or sumpin! What the heck???? I'm familiar with some Allen Bradley stuff and do a little bit of programming but heck I never thought I would see it in a race car. Damn, it's got me dreaming of a CNC race car. All ya do is hold the wheel and stop it at the end. HMM.....I wonder how I can step up to 24 volts and power some spare A/B stuff we have laying around the factory?? LOL.... Yeah, like I really need it. Hey guys, sorry for the delay in posting a little more info on this system. (If I understand it correctly) Primarily the system offers no performance gains over the conventional toggle switch system other than it will ultimately reduce the weight of the car by about 30lbs. Other than that it's the little things that the system will do. 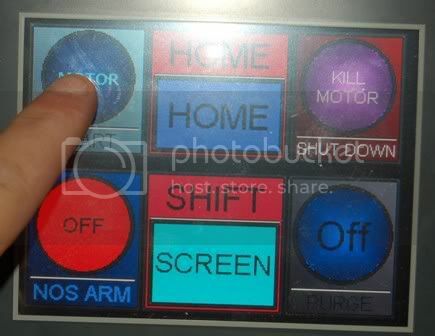 IE; make everything in the car a little more simple to operate!! Like Forgetting to turn the NOS on in the staging lanes and etc. This system should be installed in my car by early January!!! Then I will certainly give you guys the "heads up" on it. I have absolutely nothing to do with this system other than I'm getting it from the guy that designed it himself and I first got to see the system as it was being wired up in James Hancocks new Pro Nitrous car. I was immediately sold on it then as it simplifies the car sooo much, no more forgetting to turn things on fuel, water, fan, shifter etc. Or maybe I'm just the only guy in the world that has forgotten to turn this stuff on in the past and have told on myself!!!! I can put you guys in direct contact with designer/installer he's a great guy to deal with and he's also working on some other stuff too! Last edited by Scott Coxwell on Mon Dec 08, 2008 9:40 am, edited 1 time in total. You're not the only one that has forgotten to turn on the nitrous, fuel pump, etc. by no means lol. Done all of the above at least once. In fact this winter when I rewire my car I was planning on wiring it so the purge doesn't work unless the nitrous system is activated. At least once last year that would have saved me a wasted pass. Now this guys has gotten a battery pack weighing on 2.6lbs that will run a nos pro mod & yep its going in my car as well. Hope to be able to post some pictures of all this IN MY CAR soon!! "And we're GO for throttle up..."